We used to get excited about new releases of iPhones, but now, this latest release seemed to drop with little fanfare. Maybe it's because we're sick of updating to the latest iPhone, for the battery to give out in a year and then have to upgrade yet again? And this latest release has promised, yet again, even better battery life. The three new iPhones: iPhone XS, iPhone XR, iPhone XC, includes its biggest model yet. CEO Tim Cook showed off the Apple XS, which has a bigger screen than the one on last year's dramatically designed model, the iPhone X. A bigger version will be called the iPhone XS Max, which looks to be about the size of the iPhone 8 Plus, though the screen size is much bigger. The new iPhone can take even more detailed bokeh photos, these pictures blur the background and give more emphasis to the portrait. The new photos have a post-picture depth of field blurring. This means users can change the background blur of their pictures even after they have taken them. 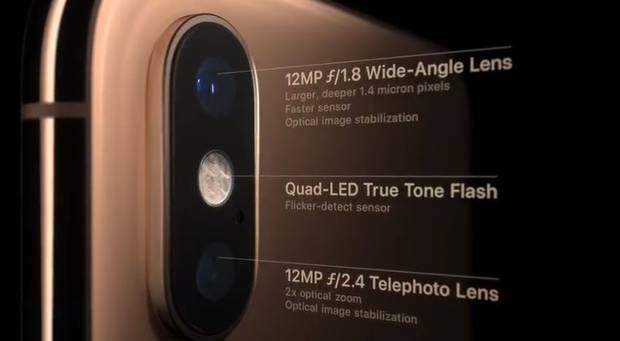 The iPhone XS with its neural engine can take photos and portraits in more detail than ever before. Whilst it isn't yet confirmed how much they will retail for in NZ, it's estimated the iPhone XS Max will be around the $2,400 price point, which is a significant increase from its previous models selling price.